New year, new Meme! Yes, time for one of the delectable Strawberry Singh’s Monday Memes. I spent it at home with my pack; that’s my RL partner Phil (Jez), my cats Piu, Pud and Mylo and my dog, Indiana. We watched Hootenanny on BBC2 as is our yearly tradition, and got slowly drunk after a sumptuous beef rib dinner cooked by beloved himself! Did you keep any New Years’ resolutions? No, because I never made any to break in the first place, clever Kitty! I haven’t made resolutions for a long time because I think the problem with them is that people tend to make ones that are going to be incredibly hard to keep. For some reason we believe that setting difficult goals at this time of year is the right way to go about fulfilling them; when in actuality we’ve got it completely backwards. The last thing you want to do on a cold and stormy January night is eat a salad. No, you want a massive bowl of hot soup and crusty bread, washed down with gallons of mulled wine, so setting a dieting goal at this time of year is just a nonsense. If you want to set a goal in 2014, set one when the time is right for you , not just because of tradition! What was your biggest achievement(s) of the year? Real life was pretty steady for me this year and trundled along in its mundane way. 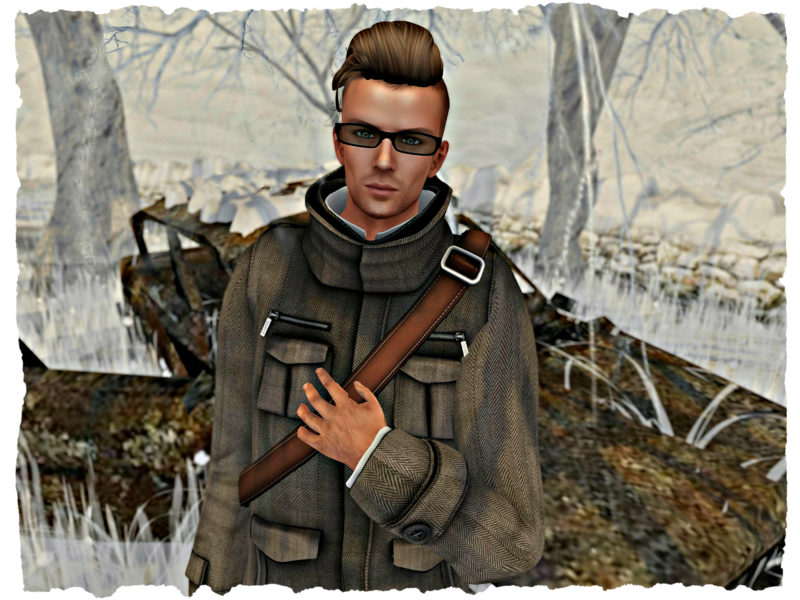 Second Life’s been interesting in that I’ve achieved a lot with the blog in 2013. I’ve surpassed 165,000 hits on the blog, have over 200 blog-followers and that really does mean a great deal to me. I also blogged more events this year than I ever have before. I blogged Skin Fair 2013 which was a real high-point for me, but I’ve also blogged some other truly amazing events such as Gothmas By Gaslight and The Homes And Gardens Expo For RFL. The whole point of blogging events is to arouse people’s interest enough to encourage them to visit so that the creators can make sales, and I really hope that I have in some small part contributed to their success this year. I’m an ardent supporter of the content creators we have in-world and nothing pleases me more than seeing hard work get rewarded. If I can publicise someone’s work on the blog and encourage a reader to go and check them out,and buy something then that’s my job done. And nothing makes me happier than that! In real life? That’s a tough question. I don’t have that much cash to splash around so I tend to be cautious when making personal purchases (cash goes much farther in Second Life!) so it has tended to be little treats that have given me the most pleasure. For example, with some money I was given for Christmas I bought myself a USB salt-lamp that sits on my desk and changes colour. It wasn’t even that expensive, but I have this weird fascination with things that change colour, or glitter and sparkle, you know like lava lamps and that kind of thing, so I’m pretty chuffed with it. I bought a necklace of the Gayer-Anderson Cat from The British Museum last time I visited (to match the earrings I bought the year before) and I’m rather keen on that too. Oh, and some really geeky tee-shirts have made me very happy this year as well! <chuckle>. In Second Life the best purchase I made in 2013 was undoubtedly my Bazar Arizona House. Even though I’m living in a different style of dwelling at the moment, it’s the one that I will continue to hold dearest to my heart. It’s just perfect in so many ways (the only way it could be made any better is if Ria Bazarmade an Arizona 2.0 and made it bigger, or added another floor..*hint* My review post of it was so enthusiastic, and I got a lot of feedback about it that I got to know Ria and have reviewed a lot of her work since, and I have to be honest and say that she has become one of my favourite designers in-world. I’ve also gained a lot of pleasure in 2013 from seeing the development of Sienia Trevellion as a designer too. I’ve known Sienia since for a long-time and she has consistently crafted beautiful builds, clothing and artefacts throughout her SL design career but in 2013 she went stratospheric and made some of the most amazing items I’ve ever seen on the grid. Her contributions to The Arcade have become legendary, and I can’t wait to see what she releases in 2014. It’s sure to be equally amazing! I don’t honestly know. I have a great life ; I live with my fella and our pack of animals. I have a good real life job and friends and family whom I adore. Had I had money to spare I would have been able to accomplish more in the way of going out and travelling, but I’m happy with my lot and satisfied that I did what I could to make 2013 an acceptable year for me. It wasn’t great by a long shot, in fact it only really became fun later in the year, but it’s over and done with now. The past is just that. Eating probably! I’ve become a little too tubby for my own liking in RL, and it’s time to get that in check. Not because I want to be a size zero or anything ridiculous like that, but for health reasons. I’ve noticed my back gets a wee bit more uncomfortable if I’m carrying a few too many extra pounds, so I need to pay attention to my body more. In SL? Nothing. I keep away from drama as much as I can and I’m glad that I do because I’ve seen it cause so many issues for people, and so much hurt too. I don’t really have an opinion on what other people think of my SL persona or my blog, because my primary audience is, and always has been myself. I blog because I enjoy it. The fact that people read my random thoughts and jottings is a fabulous bonus. What was your favorite movie you watched this year? What did you do on your birthday in 2013? It was my 40th this year, so I was treated to a trip to London and tickets to see ‘The Book Of Mormon’, as well as a couple of fantastic meals out in the city and some amazing presents. It was brilliant, I couldn’t have wished for a better birthday! Tell us a valuable life lesson you learned. I don’t think I learned it but I almost did. My Mum has always said that I am too trusting and that I “..make too much of people..”, and as much as I HATE to admit it she is of course correct. I have experienced a few reminders of that this year and have been let down by a few people. My problem is that I am a tad too trusting, and have 110% faith in people. I’ve thought about this for a long time though, and I confess that even though it causes me hurt on occasion I don’t want to change my personality and be cynical, or feel differently. So perhaps the life lesson is that I’ve learned to accept myself and understand aspects of my personality may leave me vulnerable and perhaps more prone to disappointment than the average Joe, but hey, that’s ok! Who knows where the frog jumps? It’s Phil’s 40th this year, so I am looking forward to that. It’s also my Father’s 70th and my Mother’s 80th birthday too! This is proving to be slightly problematic in that I don’t have an unlimited source of funds with to work with, but I’ll try my best to ensure that they all have a great time on their special days. I am hoping for more fulfilling work challenges and I’d love a pay-rise, and also a ginger kitten! 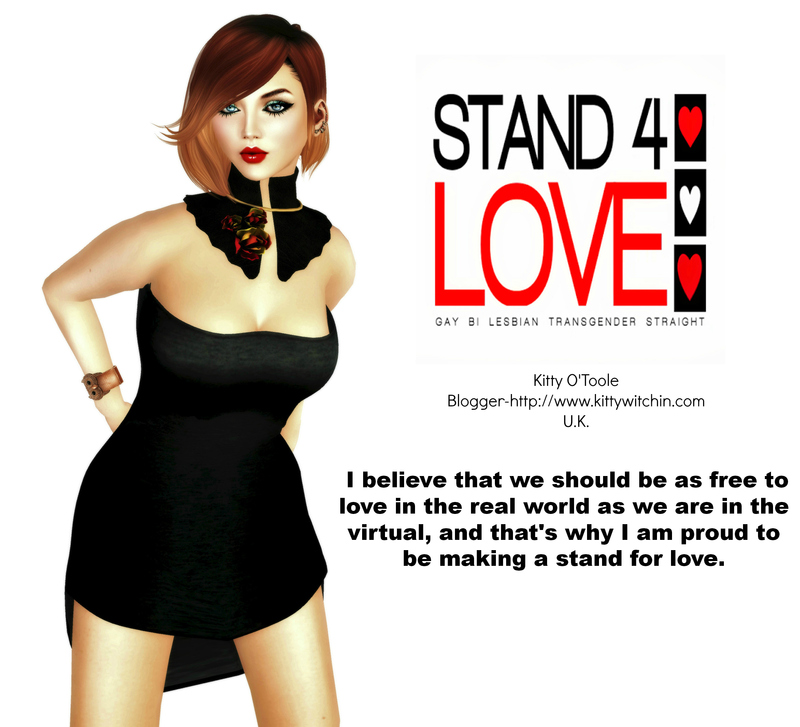 In Second Life I’m looking forward to the big events like Skin Fair 2014, but I’m also looking forward to seeing fabulous new releases from my favourite designers, as well as discovering exciting newcomers too. I hope my writing and photography skills improve and that the blog continues to grow, after all I have so much fun with it. But most of all I want to spend the year loved up with my pack and being loved, and giving it back ten-fold, every single day. 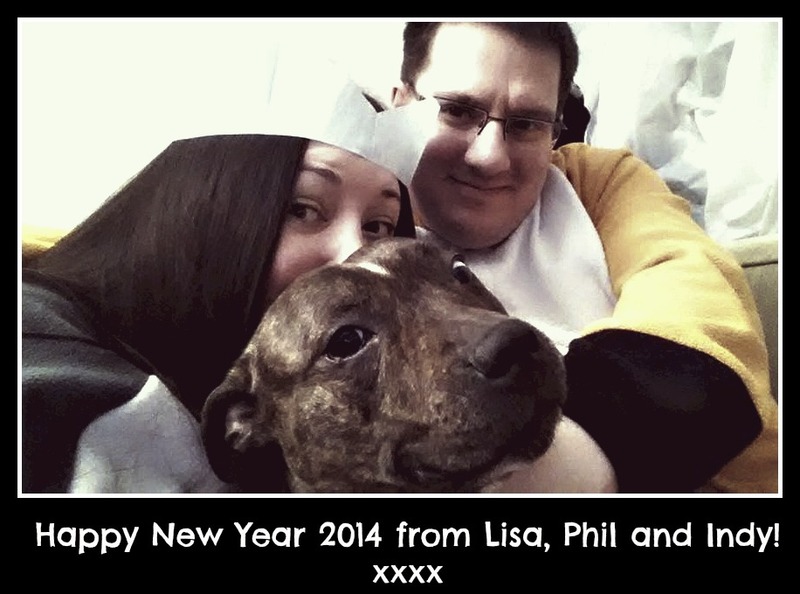 Here’s wishing you all a fabulous 2014! Allons-y! They call it stormy monday, but Tuesday’s just as bad.. I adore you too Berrycakes, you’re an inspiration to bloggers like myself.